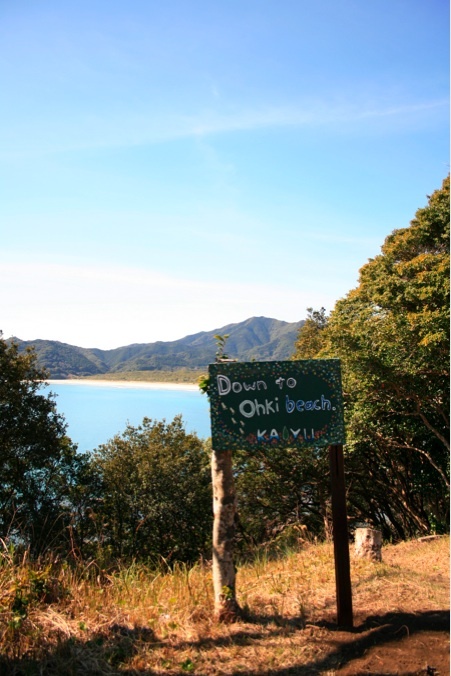 Two signboards were hanged, one for Ohki beach and the other for KAIYU inn, both were drawn by intern students the other day. 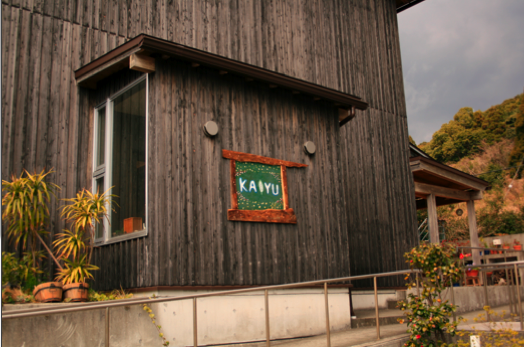 Mitsu chan created the wooden frame, I really like it's shape and the color. 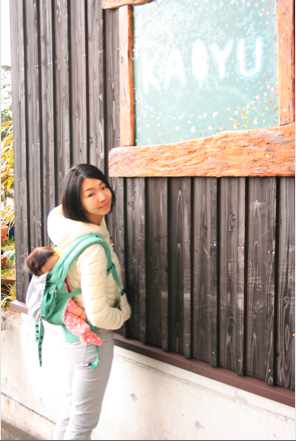 And Sana, already big enough so I can carry her on my back. Holding her on my back is much easier for my waist than doing the same in my front. Many of the stuff we need in here, we made it by ourselves, if something go wrong, we fix it by our selves. Things we buy is mainly materials instead of complete goods. It is really fun to first have a image what you really make, then try to create it. I enjoy "shopping" in the city where I can find lots of fancy cute things and buy quickly, but here, folks who can do DIY, or drawings, singing, or dancing would consider as "cool". I should try to cook more :)! !